The 61-year-old Northern Irishman is expected to be confirmed as Giovanni Trapattoni’s successor this week. “The short-term project is to get the right man in place now and I think Martin O’Neill is the right man. “He has an outstanding record in the game in Britain. He will be more attentive to detail, he will go to matches, and he will understand the footballing culture here more than Trapattoni ever did. “He has a great CV. Look what he did with Wycombe and Leicester. He did it at Villa, he did it at Celtic. “Sunderland, you don’t know what happened at Sunderland, but you don’t suddenly become a bad manager overnight. “There is a lot for Martin, if he does take the job, to work on. It could suit him in terms of his personal side of things and if there is a right age. He’s very experienced and managing Ireland would mean a lot to him personally. 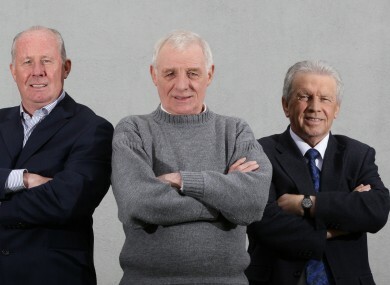 “My worry is that our best players are getting old and the ones coming in to replace them are nowhere near as good as they were, and that’s not Giovanni Trapattoni’s fault. “I wouldn’t have any problem with Martin. I have my doubts he would take the job though. “Martin could be a great Ireland manager, without a doubt. He would bring a passion and a positive frenzy to the job that could galvanise everyone to get behind the Ireland team again and it would be great to see. “You see the impact he has when he first went to Sunderland it was extraordinary. Players who were at the depths of their career one minute were playing the best football of their lives the next and that is what O’Neill can do. Martin could do that with Ireland, of course he could. “He’s got more experience than anybody out there so it wouldn’t be a bad shout. “Who knows what the FAI have in mind, but Martin would be up there high on the list. Email “Will Martin O'Neill make a good Ireland manager? Here's what Giles, Dunphy and 9 other experts think”. Feedback on “Will Martin O'Neill make a good Ireland manager? Here's what Giles, Dunphy and 9 other experts think”.